The Free Party will not join the new government coalition being set up by the Estonian Center Party, the Social Democratic Party (SDE) and the Pro Patria and Res Publica Union (IRL). The Free Party will not join the coalition being set up, a spokesman for the party told BNS on Friday morning. "It seemed on the outside that there is ambition and a food chain in all parties, and there is no wish to share it. To me it seems to be the main reason," chairman of the Free Party Andres Herkel told BNS after meeting with chairman of the Center Party Juri Ratas. "In reality they came to make us an offer of half-participation to which we had said no on the board level last Thursday," he added. According to Herkel he does not really know what it was as in the introduction it was said that it does not mean a participation in the Cabinet. "It would have meant some sort of cooperation in the parliament. We found that we can manage our work in the opposition ourselves and the so-called option of the Greens is not acceptable to us," he added. 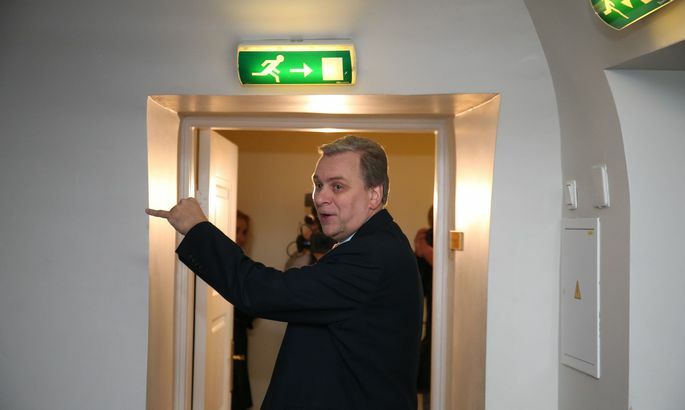 Herkel said that in his opinion the so-called United Russia flank inside the Center Party was definitely a force that did not can to see the Free Party in the government coalition. Herkel affirmed that the Free Party group would definitely vote against giving Ratas the authority to form a government in the parliament.